Welcome to Day #8 of Chocolate and Coffee Theme Week. 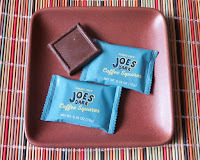 Today we sampled two chocolate and coffee offerings from Trader Joe's (Monrovia, CA): an elongated dark chocolate bar with ground espresso, and Coffee Squares—a clever blend of sugar, cocoa butter, milk, very finely ground coffee and vanilla. What's missing? Cocoa solids. But, you may not notice. 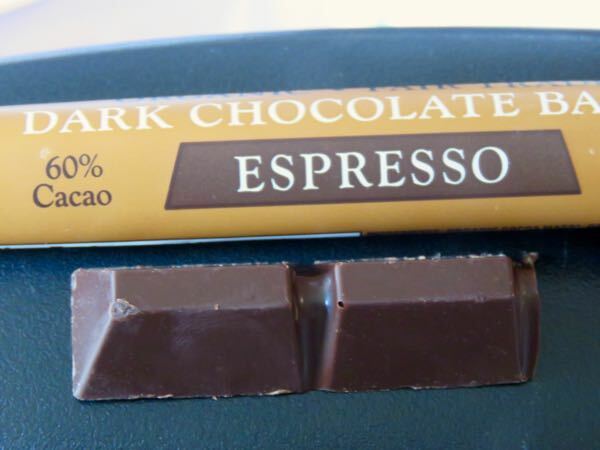 The (organic, fair trade) 60% Cocoa Dark Chocolate Espresso Baton was segmented into six pieces, and was chock full of coffee/espresso grounds and flavor. Enjoy the caffeinated ride. 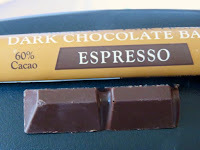 The chocolate itself was smooth and dark with a quick melt. 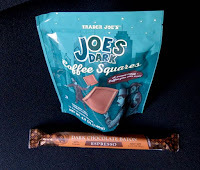 While these squares could certainly pass for milk chocolate, notice the word "chocolate" does not appear in this title. 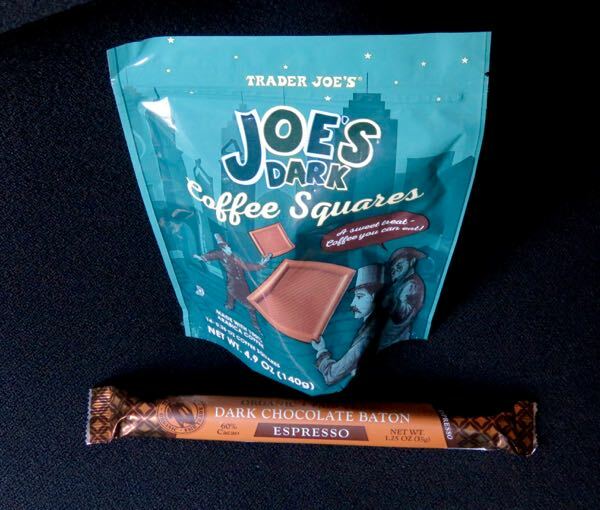 The squares do contain coffee and cocoa butter, but no cocoa solids, as noted above. No surprise, these squares had a very strong coffee aroma. Intoxicating if you love coffee. A little intimidating for others. 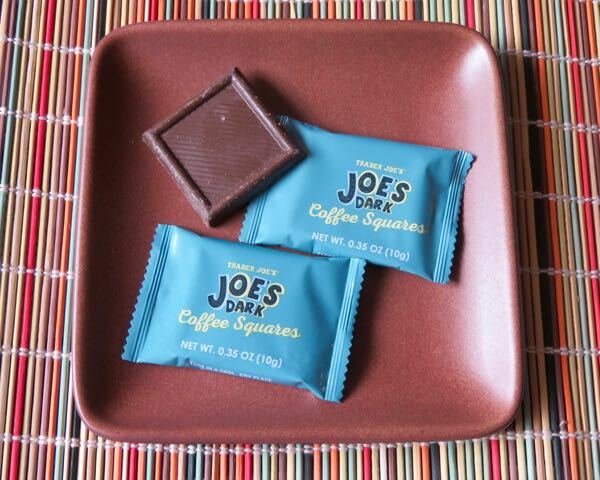 The square had a unique, slightly chewy soft melt with a sweet coffee and milk chocolate flavor—followed by a bittersweet edge (from all those coffee solids), and a lingering bittersweet coffee aftertaste.